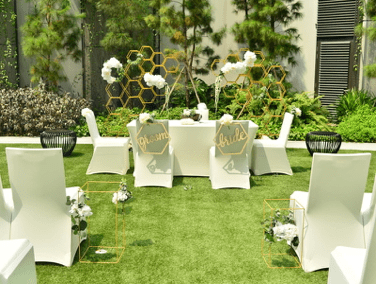 Are you searching for a venue to rent for an intimate ceremony like, reception or a lavish solemnization or wedding? 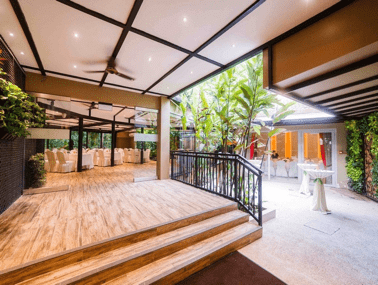 You are at the right place to find the ideal type of venues in Singapore that will match your event. Singapore that you can book for any memorable wedding ceremonies. Have an important ceremony coming up? Throw a glamorous wedding party, intimate baby shower or a grand reception at one of the most unique ceremonial venues on Venuerific. Whether you’re going for a traditional wedding ceremony, or a non-conventional reception party, Venuerific has a list of beautiful villas, exquisite ballrooms, and one-of-a-kind loft-studios that would be perfect for any ceremony. Fully equipped with essential ceremonial amenities such as projectors, microphones, makeshift stages and state of the art AV system, ensuring that your ceremony will be a night to remember. Planning a ceremony can be extremely tiresome, especially when you have to coordinate the event space with an external caterer. Why not have your party at one of Venuerific's venues? Our venue partners are more than capable of handling all your event requirements. 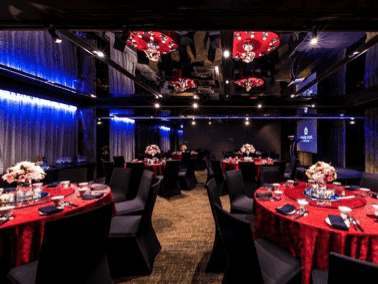 Venuerific has a list of dining options (bars, cafes, restaurants) with varying cuisines from Spanish and Italian to Chinese and even fusion food, the list of dining venues here is endless. Fill your hearts and tummies up with fine food and memorable memories at one Venuerific’s dining venues!